1.31 Release Report: KD X, Kobe A.D., Dame 4, or Curry 4 – Which Signature Shoe Will You Grab? Kevin Durant has been ballin’ out all year and seems to take his game to another level every single season. Whether it’s his clutch shooting, his lockdown defense, or his elite passing skills, there seems to be nothing he can’t do on the court. 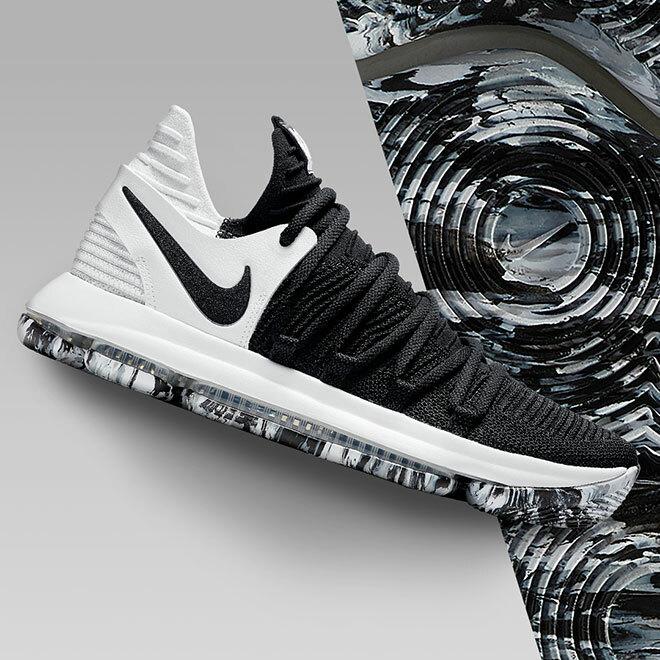 The latest colorway of his KD Xs are equally versatile. The black and white upper complements a marble outsole for a look that you can rock anywhere and with anything. Men’s $150.00. Boys’ $125.00. Kobe Bryant’s game was like a fine wine — it got better as his career went on. So, it makes sense that the Black Mamba’s other nickname is Vino. 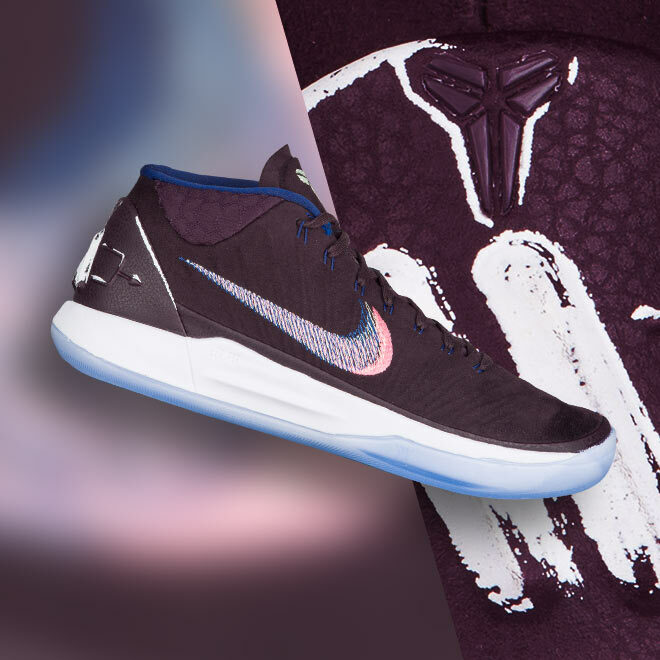 That’s the inspiration behind the latest colorway of the Kobe A.D. The Port Wine colorway features some touches of blue, white, and pink for a luxurious look. The fit and comfort are equally first-class thanks to a luxe suede ankle collar and Snakeskin material along the lateral side of the shoe. Men’s $150.00. Few players deliver more in key moments than Damian Lillard. So how does he do it? Is it his cool-headed confidence? Or the endless hours he spends practicing in the gym? Those definitely help, and so does wearing the perfect signature shoe. 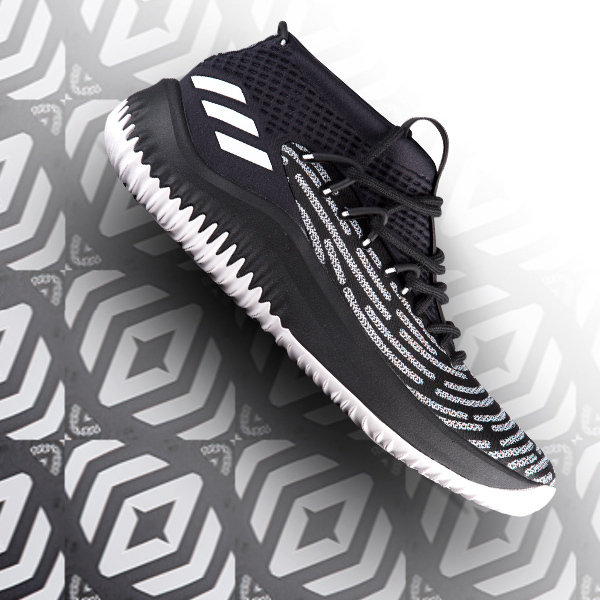 The Dame 4s have the comfort, fit, and explosiveness that Dame needs to knock down those game-winners. And on Thursday, he’s dropping a new black and white colorway with a stylish grey pattern along the upper — just what you need to stand out when it’s time to step up in the clutch. Men’s $115.00. Fans of the best shooter on the planet, and his signature Curry 4s, are in for a treat this Friday. 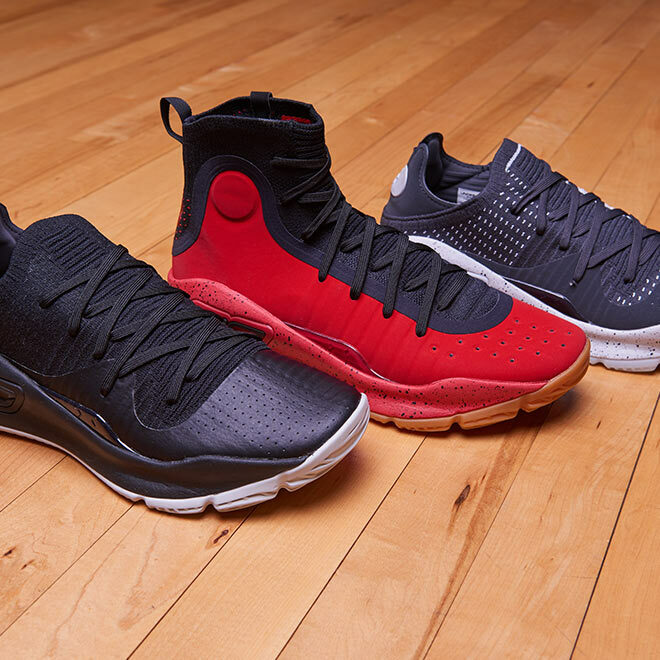 A new colorway of the Mid drops with a red, synthetic-suede overlay and a black knit collar. The gum rubber outsole with black splatter paint makes this a standout look. But if the Low is more your style, there are multiple colors dropping this Friday as well. Take your pick, lace ‘em up, and get bucket after bucket from deep. Men’s Mid $130.00. Men’s Low $120.00.